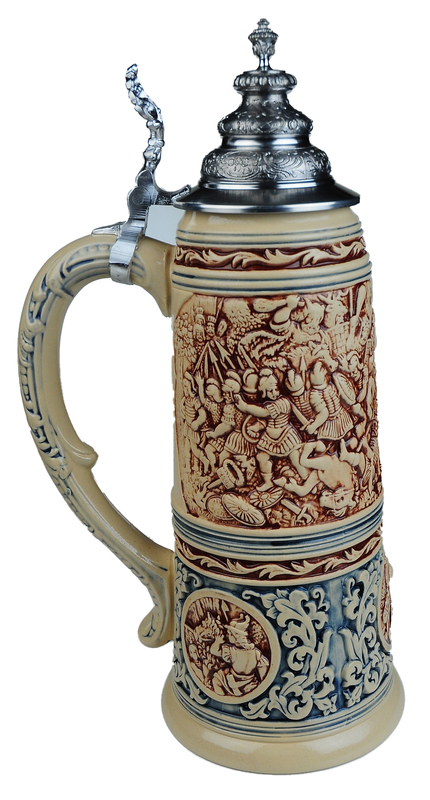 This extraordinary 2 Liter 14.5 inch tall Limited Edition Stein is based on an historical original currently in the archives of King-Werk Germany. 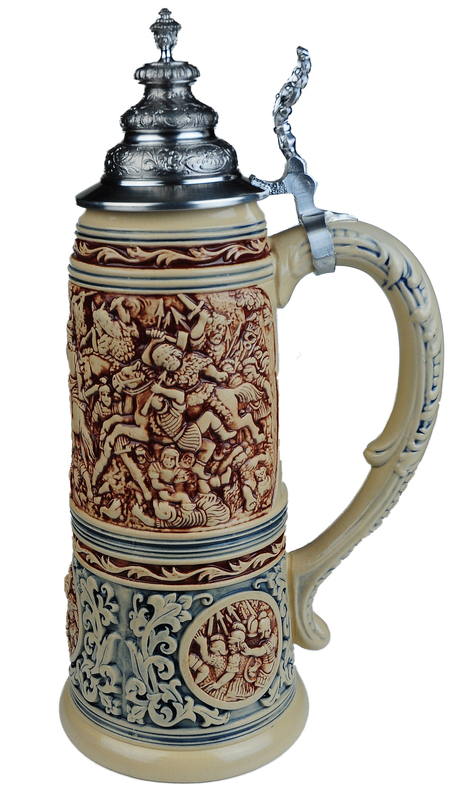 Sculptured by an unknown artist around the year 1895 this magnificent stein captures the utter annihilation of three Roman Legions under Commander Varus by an alliance of 50 Germanic tribes led by Arminus ( Hermann, in German) is considered to be Rome's greatest defeat and one of the most decisive battles in history. More than 20,000 Romans lost their lives and many more were led into slavery. 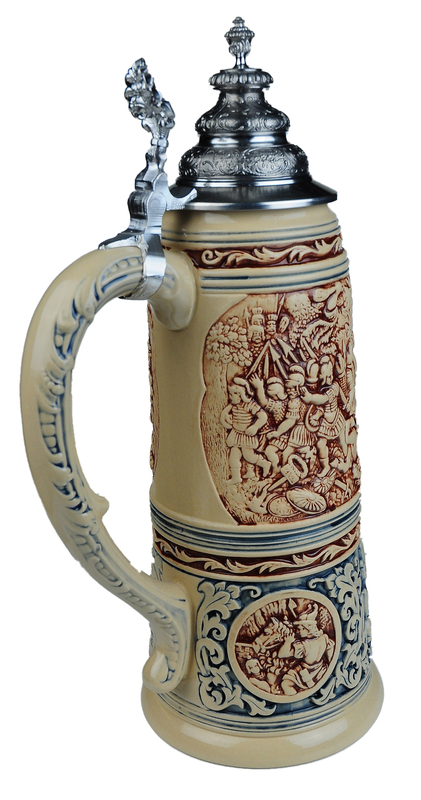 As a result of this victory, Germania remained independent from Roman rule. 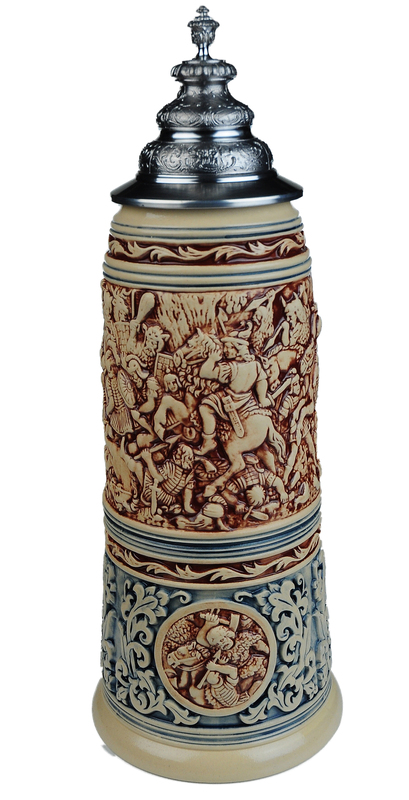 The central panel of the stein portraits Hermann on horseback leading his fellow tribal warriors in the decisive attack against the Roman legions, forcing their battle formation to disintegrate. 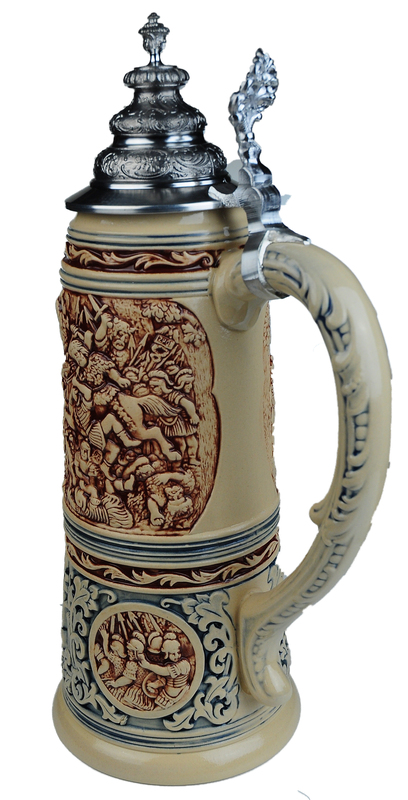 This is the 16th stein in King Limitaet collectors edition and issued with a strict limit of 2500 steins.